Kingston, New York is a city that is deeply rooted in this country's history. 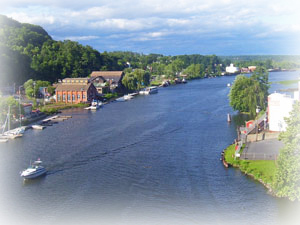 Kingston is located right at the base of the Catskill Mountains & continues to the Hudson River. Its name lends itself to the town and city of Kingston. The area was one of the three largest settlements in New Netherland, and was the first capital of New York State. The Kingston NY real estate market is diverse, appealing to everyone. From gorgeous old Victorian homes from the 1800's, to stately stone houses, to luxurious Contemporary homes, there's something for everyone. Kingston also has a strong business district, which appeals to the commercial real estate market as well. Let us help you find your dream property! Start by viewing the latest Kingston homes for sale below or keep reading to learn more about the area. The classic Colonial estates, charming bungalows, and gorgeous Victorian and Queen Anne houses are just some of the highlights that you'll discover when you look at the variety of Kingston NY homes for sale. You might feel like you're turning back the hands of time when you take a look at some of these beauties from the 19th and early 20th century, but the homes have been very well maintained and/or renovated over the years. The beauty doesn't stop at the homes themselves, though. The picture-perfect green lawns and beautiful trees surrounding these homes are what dreams are made of, and the safe, peaceful atmosphere is ideal for any type of home buyer. The fact that this city of just over 23,000 is very walkable is another great selling point or any type of home. Residents can easily take a stroll to the Hudson River, the forest, and the cobblestone sidewalks of downtown Kingston all in the same day. The Kingston real estate market also consists of townhomes, cozy Cape Cods and ranch-style homes near the town center, cabins in the forest, and lovely farm houses. You might feel like you The smaller homes in Kingston are around 1,000 square feet can be bought for only around $150,000, while family-friendly homes with upwards of three bedrooms, three bathrooms and 2,000 square feet are generally listed between $300,000 and $400,000. At the higher end of the market is where you find the sprawling estates that are situated on multi-acre properties and are usually worth at least $800,000. This historic city serves as a central hub for both residents of Hudson Valley and tourists. Farmers markets and the annual Upstate Smorgasburg offer some of the best food you'll find in the area alongside vintage clothing and other antiques. There are penty of events in Kingston thoughout the year that are worth attending, but there's also a great selection of cafes, bars, and restaurants, particularly along Broadway and North Front Street. Monkey Joe Roasters is a great spot to enjoy a coffee and surround yourself with old school decor. A couple of blocks west is where you'll find Frank Guido's Little Italy, with classic Italian cuisine served in a stylish restaurant with exposed brick interior walls. Biotson's in Uptown Kingston (aka. The Stockade District) is arguably the most popular dining establishment in Kingston, with a diverse menu and a stylish atmosphere. Other dinner options include, but are certainly not limited to, Yasuda Japanese restaurant, Broadway Lights Diner & Cafe, Armadillo (Mexican), and Mi Casita (also Mexican). If your to choice is quality beer, try Keegan Ales Brewery or The Anchor. Kingston is also perfect if you love the outdoors. Parks such as the Forsythe Nature Center, Kingman Park, and Hutton Park provide a great mix of green space, walking trails, playgrounds, and sports fields. Meanwhile, golfers can shoot a round at The Twaalfskill Club or Green Acres Golf Club. Right at the edge of town is the Bluestone Wild Forest if you really want to experience nature at its finest, or you can venture over to the Hudson River and launch your boat or kayak at one of the easily accessible launches. 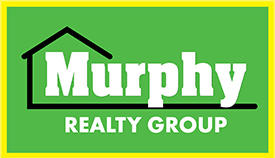 For more info about Kingston, NY real estate, talk to Murphy Realty Group. If you'd like to be emailed when there are new listings that meet your search parameters, you can simply sign up for free and we'll send them to you.